An ensemble of three works conceived in response to an exhibition celebrating the 100th anniversary of Kazimir Malevich’s Black Square (1913/15). The exhibition asked artists to consider the work’s many possible contemporary resonances. 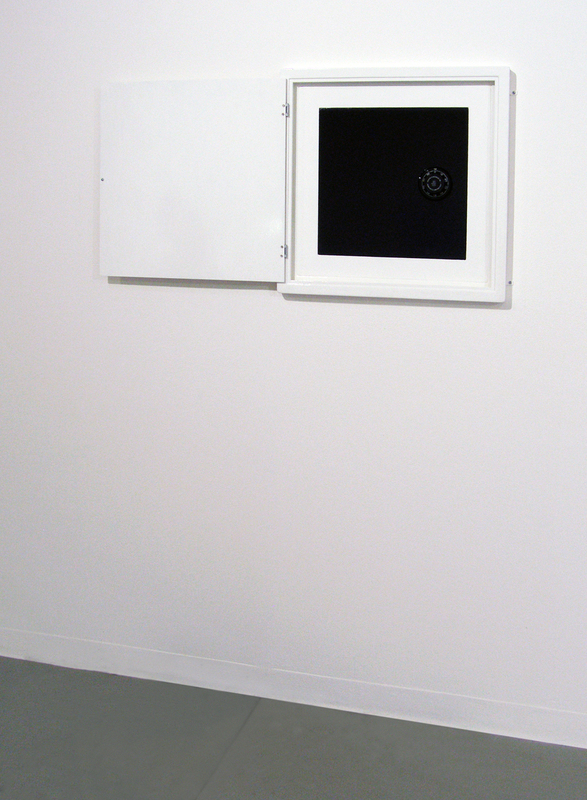 Vault redirected the metaphysical void of the original Black Square towards a more prosaic emptiness suggested by the unrevealed presence (or absence) of capital. As the classic empty signifier, money aims to give dimension to all things regardless of their ineffability. The work also indirectly hinted at a famous example of ‘re-authoring’ (but prosecuted as vandalism) ‘a dialogue with Malevich’ by Russian artist Alexander Brener. In 1997 Brener sprayed a green dollar sign over one of Malevich’s Suprematist compositions in the Stedelijk Museum in Rotterdam claiming it as a ‘status update’. Stand-off (Property of M.B.) obliquely hinted at Jackson Pollock’s ‘ground-breaking’ reorientation of the painting from wall to floor. 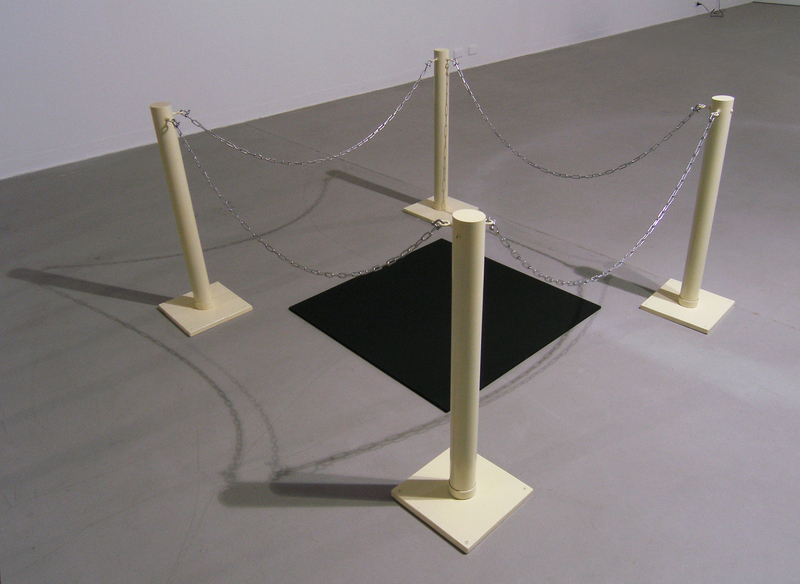 This piece implicitly made the ‘Black Square’ hallowed ground upon which no one could literally tread. 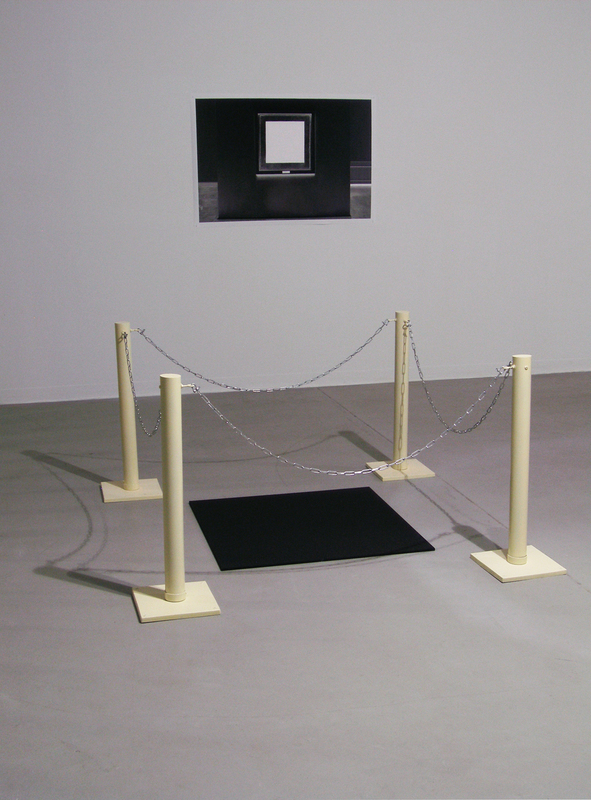 Surrounded by faux museum stanchions, the work more pertinently invoked a work by Belgian conceptualist Marcel Broodthaers (an artist who repeatedly used his initials M.B. as a means of commenting on the authorial role of the artist via Marcel Duchamp’s earlier use of his own ‘tag’ M.D. – most famously inscribed on his urinal, the ‘Fountain’ of 1917 ). 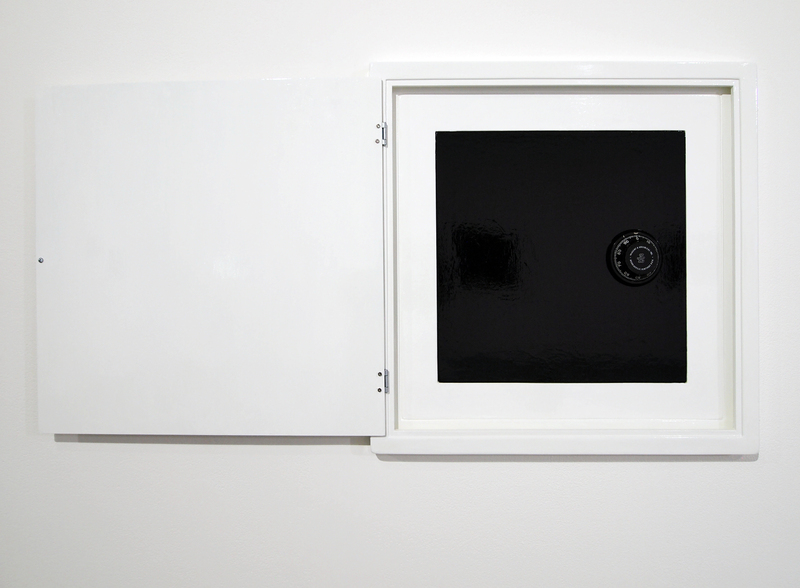 In the Broodthaers’ original the ‘black square’ in question bears the inscription ‘Private Property’ thus alerting viewers to the traditional though essentially arbitrary, separation of public and private enacted by the museum on behalf of commerce. Here the inscription has been removed retaining the original meaning of the Broodthaers while crucially transferring it onto Malevich’s ‘transcendental masterpiece’. Limit is the reworking of a found digital photograph of the ‘Black Square’ taken in situ in the Hermitage Museum in St Petersburg, Russia. 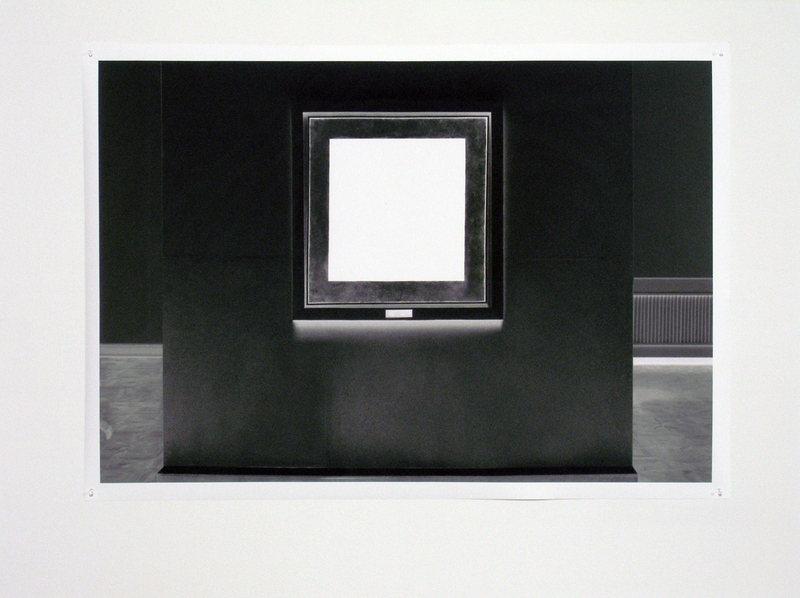 Rendered in negative, the ‘Black Square’ upon which the fame of the original work resides has been reversed. This simple ‘photographic’ process questions the arbitrariness by which an artwork, any artwork potentially, might be widely known. More importantly it indicated that knowledge of art is inextricably dependent on the dissemination of imagery and moreover, that while such imagery once fundamentally relied literally and figuratively on its development, today the consumption of imagery is almost entirely instantaneous.